With a lower unemployment rate, moderate wage gains and cheap fuel and food prices, the pieces are falling into place for a more robust holiday shopping season. 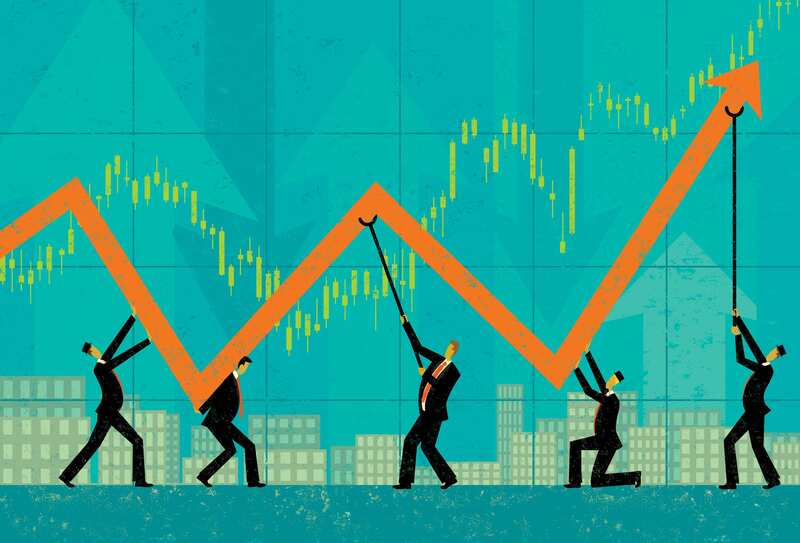 Yet while the outlook is slightly more upbeat for retailers, a round of sales forecasts is calling for growth that’s roughly in line with last year. 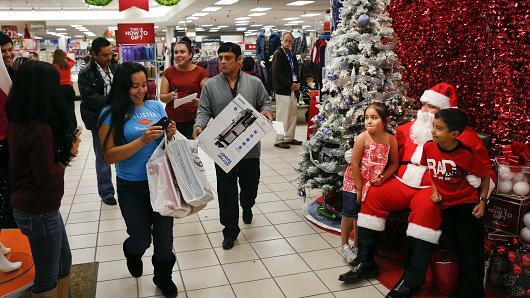 Despite 2015’s results being held back by unseasonably warm temperatures — which forced retailers into taking aggressive price cuts — Deloitte predicts holiday spending will increase between 3.6 percent and 4 percent from November through January, to top $1 trillion. That’s roughly in line with last year’s results, when sales excluding motor vehicles, gasoline and restaurants rose 3.6 percent. A separate prediction from Kantar Retail is calling for 3.8 percent growth in the fourth quarter, compared with a 3.4 percent gain in 2015. Its forecast excludes the same categories as Deloitte’s prediction. Retail Next is calling for a more dramatic uptick from last November and December, when it says sales grew 1.3 percent by its measures. Still, it expects 2016 holiday growth to be roughly in line with the other two forecasts, at 3.2 percent. “Folks are opening up their wallets a little bit,” said Rod Sides, who heads up Deloitte’s Retail & Distribution practice. Indeed, consumers are loosening their purse strings. The personal saving rate was slightly lower in July than at the start of the year, falling to 5.7 percent from 6.2 percent, according to government data. 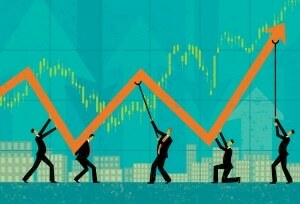 Meanwhile, preliminary consumer confidence figures rose to 89.8 percent in September, up 2.6 percentage points from the prior year. Yet an expected rise in health-care costs will likely weigh on consumers’ psyche, Sides said. That’s because Americans will be selecting their coverage plans for the upcoming year at the same time they’re doing their holiday budgeting. Uncertainties surrounding the election are also seen keeping the lid on spending early in the season, though retailers are expected to make up for any lost spending once all the votes have been tallied. They could even see a lift from pent-up demand, Deloitte said. That would be just in time for the most critical shopping days, including Black Friday. Thanks to a series of minimum wage hikes across the U.S., Sides predicts the low-income consumer will be in better shape to spend this holiday. But while the upper echelon of shoppers still has purchasing power, he said they will likely dedicate a larger share of their income to experiences over traditional goods. That trend has held back retail sales growth for more than a year. Consumers’ addiction to discounts has likewise challenged retailers’ ability to grow the top line, as lower prices mean they have to sell more units to increase sales. Even though retailers’ inventory levels are more rational heading into this holiday season, Sides expects those with run-of-the-mill merchandise will be forced to continue down the path of excessive promotions. “They can have a reasonable holiday season, but the price will be at [the expense of] margin,” he said. On the flip side, those retailers who can carve out a niche — or create a sense of scarcity for their merchandise — will win. Companies who check off those boxes are off-price chains, where the merchandise is always changing, or small business players who are slowly stealing share from their larger competitors. Online sales are once again expected to edge some 17 percent to 19 percent higher, reaching $96 billion to $98 billion, according to Deloitte. That growth rate is in line with last year’s figures, Sides said. Kantar Retail is calling for a similar 15.9 percent lift in fourth-quarter online sales, which would be a slight acceleration over last year’s 14.8 percent increase, by their methodology. Retail Next predicts digital sales will rise 14.9 percent, compared with 12.6 percent in the final two months of last year. If realized, they would account for 16 percent of total retail sales in November and December, up from 14.4 percent in 2015, the firm said. WASHINGTON – With increases in consumer spending expected to remain solid during the remainder of the year, the National Retail Federation today said retail sales for 2016 are now expected to grow 3.4 percent over last year rather than the 3.1 percent forecast earlier. Online and other non-store sales, which are included in the overall figure, are expected to increase 7-10 percent year-over-year rather than the 6-9 percent forecast earlier. Retail sales in the first half of 2016 performed at a solid pace, growing close to 4 percent on a year-over-year basis, according to NRF calculations, which exclude automobiles, gasoline stations and restaurants. NRF expects gross domestic product to grow between 1.9 and 2.4 percent. NRF is watching economic developments closely and will evaluate any changes to its forecast as necessary. If needed, the next update to forecast will come as part of NRF’s annual holiday forecast in October. JACKSONVILLE, Fla. & NEW YORK–(BUSINESS WIRE)–As the U.S. Hispanic population continues to grow in size and influence,Acosta, a leading full-service sales and marketing agency in the consumer packaged goods (CPG) industry, and Univision Communications Inc. (UCI), the leading media company serving Hispanic America, have released the 5th Edition of The Why? Behind The Buy™ U.S. Hispanic Shopper Study. This new research explores the buying patterns and behaviors of these highly experiential shoppers and provides insights CPG brands and retailers can leverage to better appeal to and connect with this important shopper segment. “Data clearly shows Hispanics are the driving force behind sales growth across many key grocery categories, but the bigger challenge is to look more intently at Hispanic shoppers’ path to purchase to identify their specific attitudes and behaviors,” said Marianne Quinlan-Sacksteder, Director of Insights, Acosta. Shopping is an enjoyable social experience for Hispanics. Hispanic shoppers enjoy grocery shopping significantly more than their U.S. counterparts, in part, because they consider the experience a social endeavor. 68 percent of Hispanic shoppers — and an even higher 7 in 10 Hispanic Millennials — say they enjoy grocery shopping versus 59 percent of total U.S. shoppers. While 39 percent of U.S. shoppers report shopping alone, 79 percent of Hispanic shoppers go grocery shopping with someone else, such as a spouse, child or friend. Eighty-eight percent of Hispanic Millennials do the same, making them the most likely of all the generations to go grocery shopping with companions. 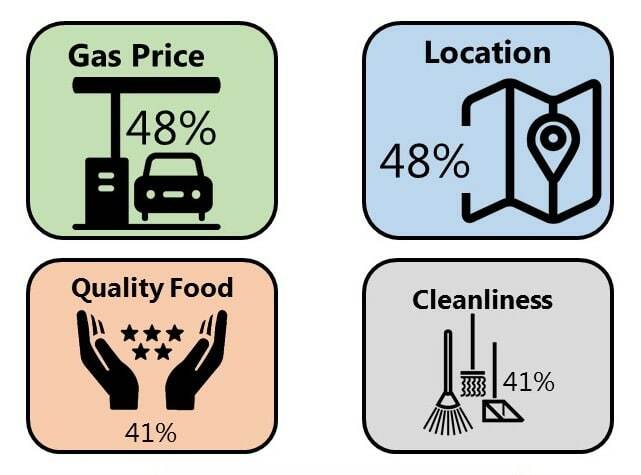 More Hispanic shoppers indicated they enjoyed shopping many of the departments found in the perimeter of the store, including the bakery, fresh meat, service deli counter, fresh produce and prepared foods sections. Hispanic shoppers are highly engaged in store and digitally along the path to purchase. With a positive outlook, Hispanic shoppers are more interactive and take better advantage of opportunities to enhance their experience before, while and after grocery shopping. 38 percent of U.S. Hispanic shoppers use the in-store cafeteria area for eating ready-to-go foods versus 27 percent of total U.S. shoppers. 34 percent use the coffee bar or in-store coffeehouse, a full 10 percent more than total U.S. shoppers. 22 percent participate in cooking demonstrations or lessons versus 16 percent of total U.S. shoppers. 26 percent of U.S. Hispanic shoppers indicate that coupons available at the shelf impact their purchase decision versus 21 percent of total U.S. shoppers. 18 percent indicate that product tastings or demonstrations influence what they bought versus 11 percent of total U.S. shoppers. Hispanic shoppers are more engaged than U.S. shoppers with many digital tools — including social media — along the grocery path to purchase. 33 percent of U.S. Hispanic shoppers research a new grocery item online versus 22 percent of total U.S. shoppers. 35 percent of U.S. Hispanic shoppers read their grocery retailer’s digital circular versus 30 percent of total U.S. shoppers. 32 percent of U.S. Hispanic shoppers sign up for contests and sweepstakes after shopping versus 21 percent of total U.S. shoppers. The Why? Behind The Buy U.S. Hispanic Shopper Study was produced in partnership with Univision Communications Inc. via Acosta’s proprietary Shopper F1rst™ survey in November-December 2015. To access the full report, visit www.acosta.com/hispanic-why. 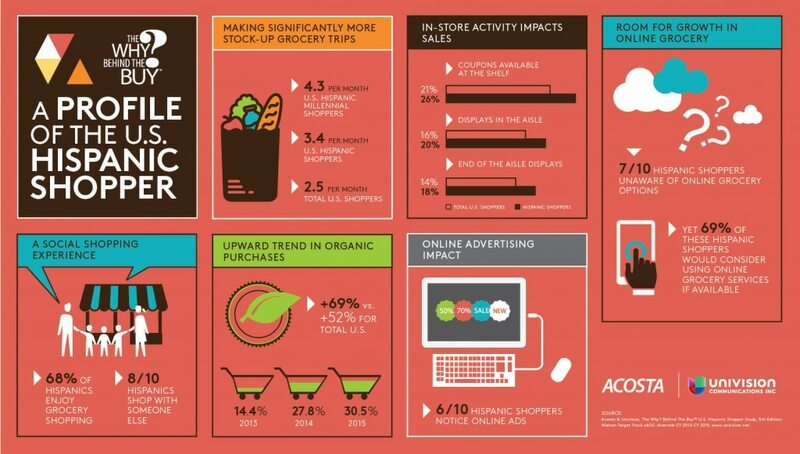 For more insights on Hispanic grocery shoppers, view the archived webinar. Gen Z and Millennials are big on physical stores—even more so than their older counterparts. That’s one of the findings of a new research study by insights firm iModerate in which 74% of all respondents said it is important for brands to have a physical location rather than solely selling online. Interestingly, 80% of Gen Zers and 82% of Millennials respondents said it is important, compared to 69% of Gen Xers and 65% of Boomers. One of the biggest lures for in-store shopping is the assurance that comes from seeing, feeling and trying on merchandise, particularly items such as clothing, shoes and cosmetics, according to the study. This is especially true for first-time buying experiences. 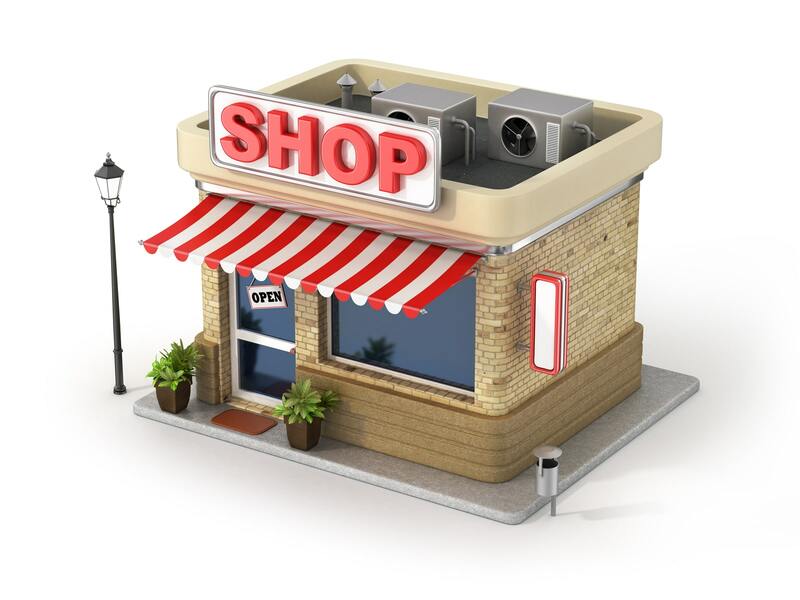 Big Box Stores: The study noted that while big-box chains are likely affected by e-commerce more than other types of stores because they sell commodity products, they still appeal to busy shoppers who want quick, one-stop-shopping. Personnel – Big-box stores are often well staffed, but consumers complain that sales associates lack product knowledge. Convenience – Although they carry a wide array of products, consumers find inconsistency with selection, layout, maintenance and management within each store, causing them to spend more time shopping than they’d like. Layout – Larger stores with wider aisles allow for easier navigation, but these cavernous spaces can feel cluttered and dirty when not well maintained. Gen Z – Seeks the reassurance found through the sensorial. Stores like Forever 21 enable them to try on various sizes and styles that are difficult to perfect online, and brands such as Sephora offer samples and demos. Millennials – Seek efficiency and quality. Many are launching careers and have young families so they need to shop frequently, and favor big-box stores for their ability to quickly find everything they need in one place. Gen X – Seeks an escape and discoveries. Boomers – Seek comfort and space. They also value low music, light scents and seating. iModerate conducted the survey with 844 consumers who ranged in age from 15 to over 65, and who shop in a store or online at least monthly.